Shocking video footage has emerged of a 20-year-old attacking four police officers with a 23 centimetre knife – after he lured them in with a bogus emergency call. Alex Traykov is filmed wielding the huge knife moments after a female cop knocked on his door in Islington, north London. The teenager then unleashed a 30-second frenzied attack on the four police officers, who he stabbed and slashed several times. A jury at the Old Bailey convicted him of three counts of grievous bodily harm (GBH) with intent and one count of attempted GBH. The team responded to a 999 report from a man who said he was called Soloman of a fight between two men late in the night on October 6 last year, the court heard. 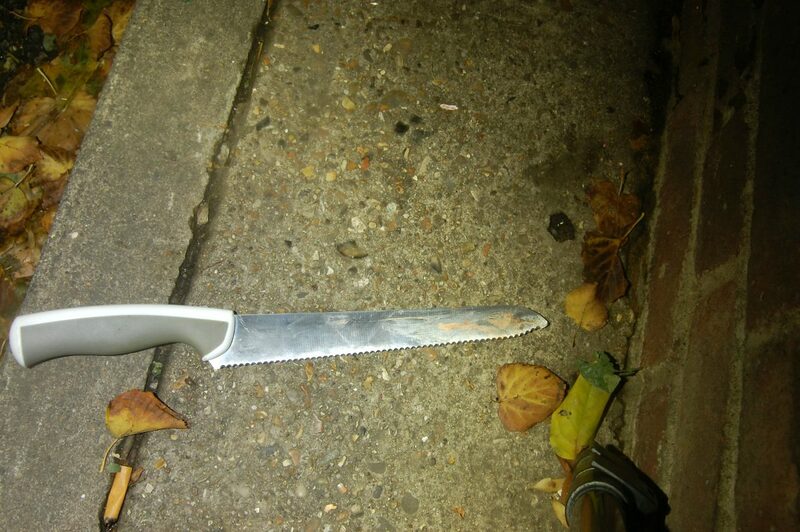 But the concerned member of the public turned out to be Traykov – who had fabricated the incident and was instead waiting for the officers to turn up – armed with the huge knife. 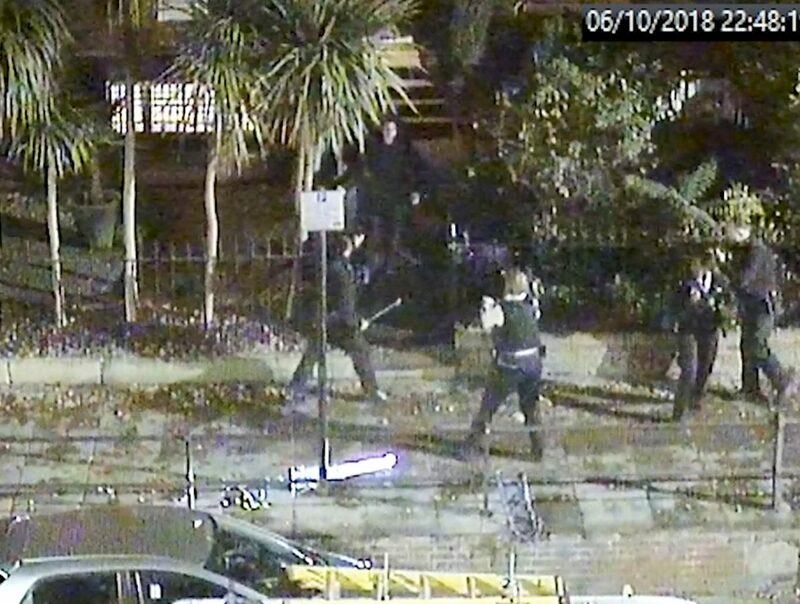 The Met Police has released dramatic CCTV footage which captured the frenzied attack from a camera across the residential street. Traykov is filmed hiding the huge knife behind his back after one of the officers – Police Constable Istarlin Said Ali – knocked on his door. But moments later he wields the weapon which he then smashes down across the female cop’s head and hand. Traykov then begins slashing and stabbing the other officers – cutting one cop across the face and hitting him on the head. The group then tumbles through the property’s gate and onto the street where Traykov stands over male officer, PC Rafal Kedziora who he had just attacked. But the frenzied attack comes to an abrupt end when he falls to the ground after he is tasered twice by a third cop – PC PC Launa Watkins. All four police officers were injured in the shocking assault. One cop suffered a laceration to his cheek which required eight stitched and a two centimetre cut to the neck. Another sustained a 15 centimetre cut to his arm and another required emergency treatment after suffering significant blood loss from a head injury. Traykov was arrested and questioned but he declined to give any explanation of why he launched his vicious and unprovoked attack, the court heard. He was initially charged with four counts of attempted murder but this was changed to three counts of GBH and one count of attempted GBH. 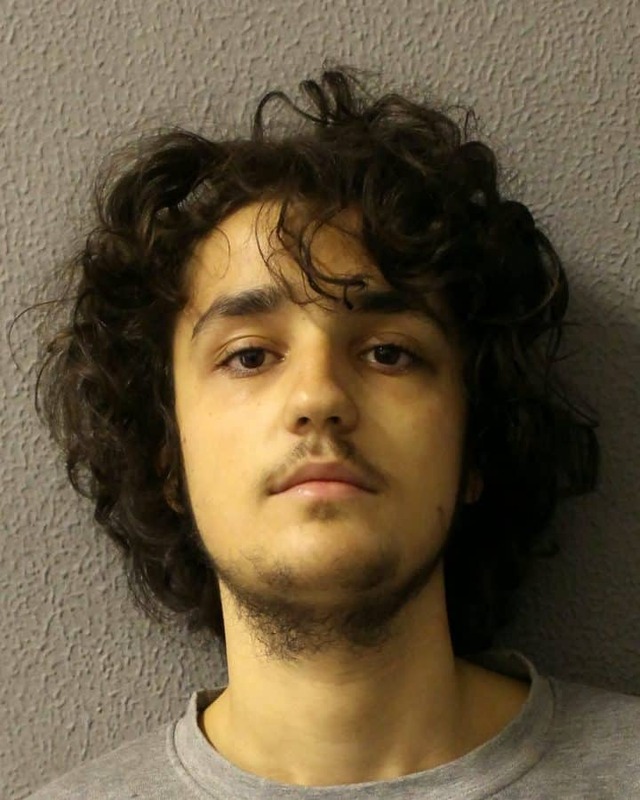 Traykov, from Redhill, Surrey, was found guilty of the four charges at the Old Bailey this week and he will be sentenced at a later date. The four police officers have since spoken out about the traumatic attack and the psychological torment they have endured. Pc Said Ali said: “These past six months have been a rollercoaster of emotions, and stress and pain for me, my family, my colleagues and the wider team I work with.